Removed from a new bike, never used. 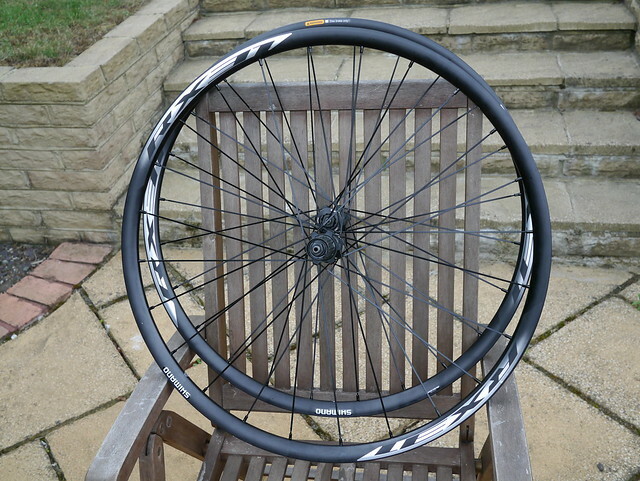 700c clincher disc road wheelset. 24mm high profile aluminium rim. 24 spoke laced 2 cross bladed straight pull spokes. 10/11 spd shimano, supplied with spacer for 10 spd (not pictured). No skewers or rim strips sorry. £110 posted or £100 collected, based in Caterham Surrey. If you can do them for £100 posted or delivered by sketchymail to me in Canterbury I'll take them if they are still available? Sorry they got snapped up.